Do you have roaches, but have kids/pets to worry about? 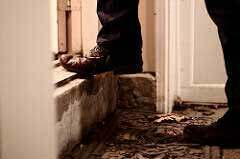 Don’t worry, you can get rid of the roaches and avoid potentially harmful chemicals using these five natural ways to get rid of roaches in your house. They’re safer to use around kids/pets and they’ll kill those unwanted cockroaches. Yep, you read that right. This method won’t even cost you a penny. It’s also what I consider to be the fastest way to kill these pests. It is the boot (or shoe, slipper, or whatever else you happen to be wearing). Nothing will kill a cockroach faster than crushing them under the force of your boot. The best part is, it’s completely free. All it’ll cost you is the effort to take your boot and smash it into the cockroach. Assuming you didn’t miss, it’s a 100% guaranteed instant death too. Of course, nothing is ever perfect. This method is a little messy. You’ll often need a paper tower, or something similar to clean up the mess left behind. Another problem with this method is it isn’t very practical for eliminating the entire population infesting your home. It’s a great method to quickly kill any roaches you’re able to spot and get to, but it won’t do anything about those hiding safely in your home. For that purpose, you’ll need to scroll down a little more, or try these other more aggressive and not so natural methods. If you don’t like the idea of cleaning up cockroach guts, consider a spray like the Hot Shot 95843 Natural Ant & Roach Killer. It kills roaches when sprayed directly on them (a contact killer). 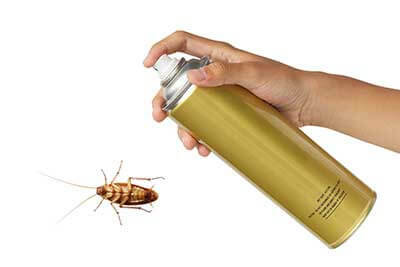 All you have to do is grab the can and give the cockroach a good spray. Once it’s dead, just sweep it up and toss throw it out. Now, some users have claimed it kills roaches fast and most users would expect a quick death for these intruders. However, let’s not forget that this is supposed to be a cockroach spray made from natural insecticides. Naturally, that means the fast acting chemicals that deliver the results we demand are not used here. Instead, it uses lemon grass oil, a natural insecticide that is much slower acting. In other words, it’s going to take anywhere from a few seconds to minutes before it finishes the job. No chemical residue that lingers behind. Safer to use around children and pets. Feeling a little skeptical about natural cockroach sprays? The Eco Defense Organic Home Pest Control Spray comes with a 60 days 100% money back guarantee. It’s safe to use around kids and pets. It can also be used as a contact killer and as a repellent. What I like most about this spray in particular is the money back guarantee. These natural sprays aren’t exactly cheap, so it’s nice to know that you can get your money back if it doesn’t work for your roaches—which does happen sometimes. With nothing to lose, try a bottle risk-free from here. One word of warning about using this as a repellent though. It can indeed be used as a repellent, but we can’t disregard the fact that this product is made with natural ingredients. Natural ingredients, while potent, doesn’t not offer much in terms of persistence (meaning they don’t stay effective very long). Synthetic pesticides can persist for as long as a month, or more when applied. Natural insecticides persist for about 24 hours at the longest. Once sprayed, they quickly break down and become ineffective. You’ll have to spray it quite often to use it as a repellent, but that’s the price you have to pay for all-natural. If it was up to me, I would just use this spray to kill roaches I run into. For a natural repellent to help deal with those I cannot see, I would choose to use something like Diatomaceous Earth (DE). I talk a little more about DE further down the page. Here’s another alternative all-natural way to kill roaches more quickly, Safer End All Insect Killer (Safer being the brand). It’s actually a spray made for use in organic gardening. However, you can use it to kill cockroaches too because of its main active ingredients. One of the main ingredients happens to be pyrethrum, a naturally produce insecticide found in chrysanthemum flowers. The super effective man made insecticides, like cypermethrin, were actually based off of these insecticides naturally made by nature. If it’s safe for organic gardening, you can bet it’s a lot safer to use in the home than the man-made stuff. If you’re a do-it-yourself kind of person like me, then you might want to check out my other page about how to make your own natural pyrethrum roach killing spray. Otherwise, buying one of these bottles online is the easiest way to get your hands on one fast. Look anywhere on the internet for a natural remedy to cockroaches and you’ll probably hear about diatomaceous earth (a.k.a DE). Many others who have sought for a less harmful and more natural solution to their cockroach problems discovered that diatomaceous earth was surprisingly effective at killing and controlling cockroaches. Of all the natural ways mentioned here, this is what I would use personally in my home with two kids. How it works is amazingly simple and using it is super easy. DE being abrasive, cuts and damages the protective exoskeleton of any cockroach that makes contact with it (like walking over it, for example). This leads to dehydration and ultimately, death. All you have to do is apply a thin layer of the powder in high traffic areas and let them destroy themselves. You can read more about how it works and how to use it effectively in my other post, but it’s really that easy to use. Not only is it effective and easy to use, but it’s also very affordable, safe, and one of the most natural way to get rid of roaches. There’s even food grade diatomaceous earth that you can buy. If you’re really concerned about safety, then it doesn’t hurt to get a bag of quality food grade diatomaceous earth from where I usually buy mine. Aside from DE, there are other very effective solutions to eliminate roaches from your home. And if you were considering some more natural solutions because you’re concerned about safety (who isn’t) then you don’t necessarily have to opt for a product that is labeled “all natural”. In all honesty, they tend be less effective compared to other solutions. For example, the roach bait made by Advion is a man-made pesticide, but it is quite safe to use around the home if you use it as intended. It also works way better and is much more capable of eradicating the entire roach infestation. Photo Credit: Thanks goes to Jin Choi. Picture used under CC BY-Sa 2.0 license. I have 3 cats that LOVE to catch and play with our current population of roaches. Cats can be sensitive to some things, so I was wondering how the DE would work around felines. Is it safe if ingested? I’m not an expert, but I did deal with bedbugs after a friend brought them over. There are two kinds of DE: food grade and non-food grade. If you get the food grade variety, then yes, it is safe for anyone to ingest, including cats. The non-food grade, commonly used in swimming pools, is not a good thing to ingest because of other additives. There isn’t much of a price difference between the two, or at least there was not a few years ago. By the way, I have 4 cats and put food grade DE in my house… not one problem. Even though the bedbug problem is long gone (thankfully) I still have it around for the occasional flea issue. After 4 years, still no problems with my cats. Today after seeing that cockroach i practically spring cleaned my entire kitchen and cleaned behind all appliances. Unfortunately the kitchens built where I live are designed in such a way that its easy for cockaroaches to hide and lay eggs. The bottoms of the counters that touch the ground. What can I do now?